Fiona: “Let’s get you introduced to everyone, shall we? Tell us your name. What is your age? Bill:“Married to a wonderful partner, Judy, three children from a previous marriage… we reside in Westminster, Maryland with 3 border collies, Moss, McGee, and Molly Jane. Two parrots, two cats, and two horses… served in the United States Army, 3rd Armor Division, from April 1968 to April 1970. 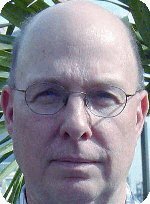 Retired from Bell Labs in 2001, currently the CEO of IBS, Inc., specializing in systems engineering. Master’s in the Management Sciences from the University of Baltimore. Bill: “You’ll laugh at this… in 1969 I had a near death experience… I was struck by lightning. It was almost 45 years later that I was confronted with an overwhelming desire to revisit that time in my life. The research took seven months and the result… was a novel called Redeye Fulda Cold. Bill: In 1968 I found myself standing in the Fulda Gap in the very Cold War. The realization, the importance, of that role… I really never understood. This part of world history was not known by most Americans. To finally understand what ‘we’ accomplished… by standing the watch on the East German border, provided an insight that had been missing in my education for over 40 plus years. 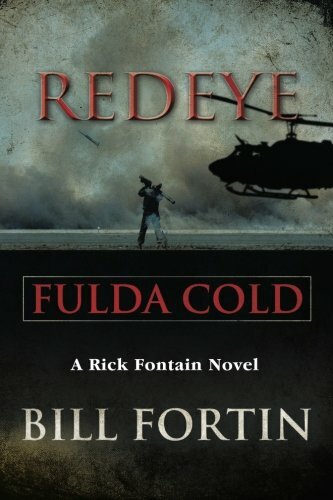 Bill: “The title, ‘Redeye Fulda Cold’, REDEYE denotes the first shoulder fired weapon system utilizing a ground to air missile. The infra-red tracking technology engineered by the General Dynamics Corporation provided the nickname. Fiona: Are there any new authors that have grasped your interest? Who is yourfavorite writer, and what is it about their work that really strikes you? Bill: “This is a great question. I found Mark Greaney in 2013 when I was trying to understand the Catch-22 marketing protocols;designed to keep all new author publications completely secret from thepublished marketplace. 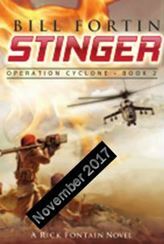 Mark had released several of the Gray Man series by this time… he had just joined up with Tom Clancy and has been on fire ever since. Mark is one talented guy… he has been extremely supportive.